Seattle, 1933: Vera Ray kisses her three-year-old son, Daniel, good night and reluctantly leaves for work. She hates the night shift, but it’s the only way she can earn enough to keep destitution at bay. In the morning - even though it’s the second of May - a heavy snow is falling. Vera rushes to wake Daniel, but his bed is empty. His teddy bear lies outside in the snow. Seattle, present day: On the second of May, Seattle Herald reporter Claire Aldridge awakens to another late-season snowstorm. 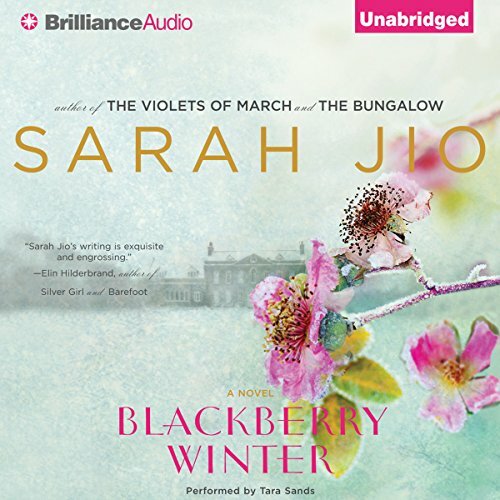 Assigned to cover this "blackberry winter" and its predecessor decades earlier, Claire learns of Daniel’s unsolved abduction and vows to unearth the truth - only to discover that she and Vera are linked in unexpected ways. 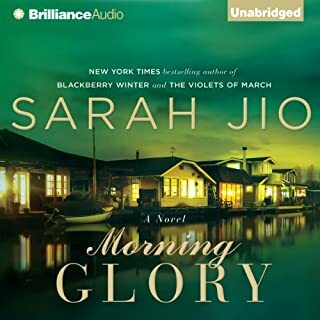 ©2012 Sarah Jio (P)2012 Brilliance Audio, Inc. 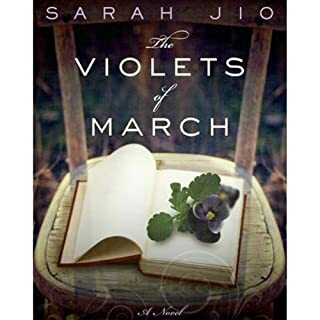 The story has a creative and interesting plot surrounding a modern-day love story and a long-ago mystery and the way they become woven together by two freak spring snow storms. It's not great literature, but it would be a good read. I use "read" deliberately because listening to this story is a terrific disappointment. I realize, as I am nearing the end, that I am so distracted by the narrator, that I find myself wondering, "How would that sound in my head if I were just reading it - would I give that phrase that emphasis? Would I feel differently about this character, this decision, this coincidence if I didn't have that voice in my head making every character sound as if they have a huge stick up their... er ... you know." When the focus of your listening experience becomes the narrator and not the story, something isn't working well. I'm not sure what Ms. Sands was trying to do with this story, but her slow, deliberate, pronounce-every-syllable pacing becomes very distracting. Her tone is usually "emphatic" sounding and everyone (all her characters) speak with the same level of intensity about everything. Vera is exactly as intense about the hole in her shoe as she is about her missing child - like that. I listened to samples from some of her other works, and she clearly doesn't narrate like this in all of them, and that leads me to wonder if this might have been the result of bad direction. Perhaps people who like a highly emotionally-charged book, but don't care for literary-style writing. Perhaps someone with children. But, honestly, I wouldn't recommend this book to anyone I know. 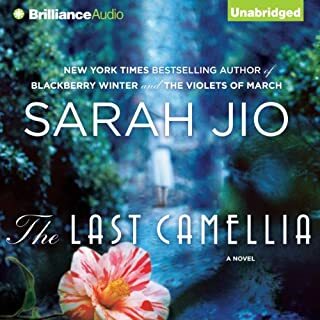 What was most disappointing about Sarah Jio’s story? It was bothersome how everything just seemed to be such a coincidence, but each "twist" and "turn" was really predictable. The characters the protagonist meets are too convenient to helping her in her story. So much so that it became annoying. When she tried to create a scene that was light-hearted, or funny, (which the protaganist's best friend was supposed to do) it came off as cheesy, clunky, and unnatural. The cliche critique of the wealthy and entire theme of the book being poor vs. rich also got old. There are plenty of well-written books about the plight of the poor that don't spell it out so obviously and simply, citing each time a person with any money does something terrible, or would do something terrible, and contrasting it with a person with little means doing something wonderful or having a good heart. It's as if the author believes the reader is too stupid to pick up on what she is trying to say. Her voice quavered the entire time, whether the characters were upset or scared, or happy (which, admittedly, was rare). She over-acted, which got pretty irritating. She definitely varied her voices & some might say she did it well, I just didn't care for her voices & theatrics. From the cover design and the book's title, at first glance I thought this might be a romance novel, and had a moment of regret after purchase. However, I was pleasantly surprised, as the story evolves as relatively original and the author weaves the present and past in a very believable and relatable way, with past-to-present story lines that are somewhat similar or at least parallel. Though romantic love is a theme, it's not the primary one, as the novel deals with larger issues like personal growth, motivation, the definition of true "success", and how we handle life's curve balls; how we play the hand we're given. I appreciated the main character's perspective from an in-law attached to a high-profile and wealthy family, as many on the outside can think that once you marry into wealth and influence your life is solved. 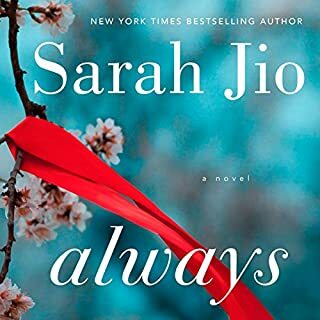 But that's not always the case, and there are downsides.The protagonist struggles to find her own way, establish herself independently of her husband's powerful and prestigious family. She does manage to succeed at this and in the end becomes more than just another appendage to a family with far-reaching power and influence. I think the plot trajectory is clever, well-conceived and somewhat original. I am sure there are other novels with a similar story but I haven't encountered them, so to me this narrative has legs beyond what at first seems to be simply about a reporter just trying to find a story. And it's all deftly mixed in with the specter of a recent personal tragedy that adds color and depth. I am only giving this book 4 out of 5, however, because the ending was resolved for me way before the last few chapters, and those sections, seeming like filler, just dragged annoyingly on and on. This part didn't seem to fit - perhaps added as a recommendation from an editor, because the primary reveal was accomplished well in advance of the final chapters. Still, well worth the purchase and highly deserving of a credit. This is a beautifully written story, very personal . . . which I easily related to . . . if you have had the privilege to have grown up with or known family members who went through the Great Depression, you will appreciate this audio book. My mother-in-law grew up during the depression. She was the most unassuming, gentle, giving person I have ever known. She never went past third grade, because she had to leave her family, her mother, father and seven siblings to go to the city and keep house . . . cook and clean for a wealthy family. And she was never, ever bitter. Family was everything to her. 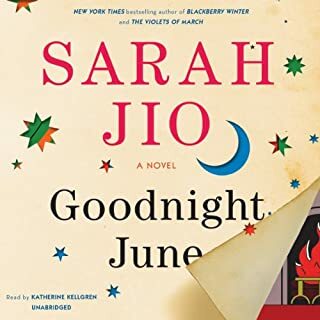 This book tells about a young single mother who has to leave her three year old son in bed asleep at night, while she goes to work cleaning motel rooms. The poverty during the 1930's is absolutely unimaginable to our society today. But I assure you, it was real. This is a complex story of the haves and the have nots . . . of those who abuse their power . . . and those, who by the grace of God, USE their power and money for good. It was then . . . and is now . . . a choice. The story goes back and forth between the '30s and today, and weaves a beautiful tale of love, sadness, mistakes, forgiveness and hope. What did you love best about Blackberry Winter? I liked the setting back in the 30s and the switching back and forth in time. The characters were interesting--two young women facing the loss of their children. Would you recommend Blackberry Winter to your friends? Why or why not? I would recommend with reservations. It is a bit Nicholas Sparks, but not quite as clichéd. She didn't get in the way of the story. The best part of the book occurs in the 30s. The modern day character doesn't read as well. This was as unique a plot as I've seen in a long time, and I liked the shifts from present to past, but the it would have been much stronger without the ungainly coincidences. Good character development and good sense of the lives of the poor in the 1930s. Worth the time. I am having a run of bad luck with books! YET AGAIN a somewhat promising idea turns out to be a sappy, badly written book. UGH. It was so flat and not realistic at all; people don’t speak that way in real life! Not people you’d want to spend time with anyway… it struck me as what a child’s idea is of how grown-ups talk. I kept reading because I am stubborn about finishing books, and I always hope that despite the eye-rolling, predictable, cliché and banal dialogue – there might be a redeeming story buried down deep in there somewhere!! But it was a lot of sappy drama to slog through – barely worth it. I concede that perhaps it was the narrator that ruined it for me. Her overly-dramatic over-acted performance was just too much. At the risk of sounding obnoxious, I would qualify this book as a “Beach Read”. Lower your standards. Think: light & fluffy and you might not be as disappointed. 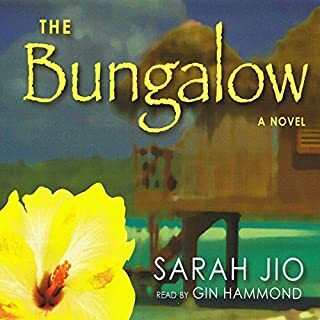 I don't think this particular audiobook was time well spent - although I connected with the characters and was mildly interesting in the dual plot (one happening in the 30s, one present day), I found the plot dragged and the writing was cliched and a little sappy. Although the title speaks of Winter, my feeling is this a pleasant beach read at best....if you have the patience. What made the experience of listening to Blackberry Winter the most enjoyable? Who was the most memorable character of Blackberry Winter and why? The over-enunciating, over emphatic narrator practically ruined this story for me. Add that to the rather predictable, formula-driven plot and this became an average if not less than average read at best. Still, there was something captivating about the plot. . . pitting poor against wealthy and overcoming the ravages of time to open old memories and uncover new evidence. So I'll give it a weak, wavering one-thumbs-up.